We’ve just received the new G&G GBBR Ver2. These new rifles come equipped with ambidextrous magazine catches and fire selectors as well as featuring everyone’s favourite GBB feature ‘Bolt Lock’! 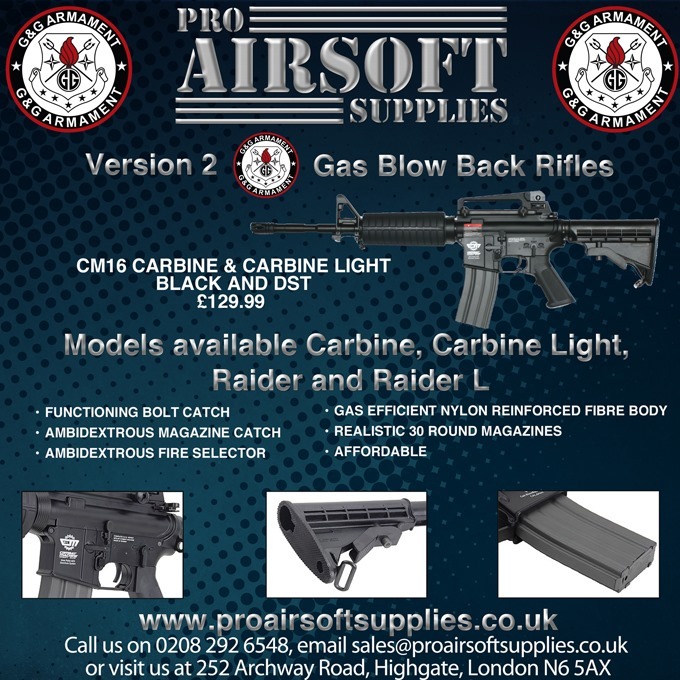 That’s right boys and girls you can now get your milsim on for a fraction of the cost of the other GBBR’s on the market. For an added bonus you can empty off an entire magazine in auto in one burst without cool down!